The Nameless Reality of the Divine offers ItSelf to be known through many names. Across many traditions, people came to know the One Reality (known as God) in many Divine Names. These names are transmitted across age and lands. The Unknowable Reality offers ItSelf to be known through names revealed to humanity through countless Messengers, Sages and Prophets. 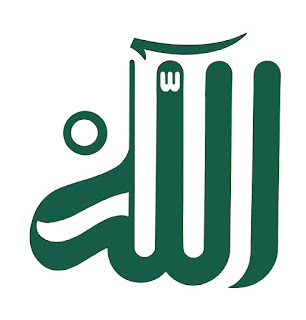 Some of these Names are quantified such as: in Hebrew tradition its known as 72 names of God, in Islam its 99 Names (Transmitted as the Beauteous Names / Asmaul Husna) and so on and so forth. These Names and their invocations are the connection to the reality which is beyond names and forms. Each Name carry a different aspect of the Divine. Here three particular Name from Islamic tradition is focused. Invocation of Ya Wahhab is the antidote for the scarcity you feel when you believe nothing is flowing in your life. Ya Razzaq is the remedy for the feeling that the basic essentials of life are scarce. Ya Fattah is the experience of everything being closed to you. There is a wonderful inner and outer relationship between Al Wahhab, ar-Razzaq and al-Fattah. One metaphor that has been given to express their meanings and interrelationship is to say that al-Wahhab is the free rain that is given to all, Ar-Razzaq is the water that flows in irrigation ditches, and Al-Fattah is all the fruit harvested from all the trees that have been irrigated. In other words, Al-Fattah is the continuing action of all that will ever be accomplished. Al-Wahhab expresses Gods continuous gift of divine blessings. It is a giving that is without any attachment. The grammatical form of al-Wahhab is an intensive, which emphasises giving continually, universally, and without disruption. It is a free gift, with no expectation of recompense, there are no strings attached. You could say it is to give with the right hand without the left-hand knowing. The basic meaning of the verbal root of al-Wahhab is wahaba: to give or to bless, or to bestow something on someone freely with no intention of gaining compensation, recompense, or requital. The eight form, ittahaba, means to accept something as a free gift without any thought of an obligation to return something back. The fourth form of the root is awhaba, which means to give a gift out of superabundance, fullness, power, ability, or capacity. Ar-Razzaq maybe used in connection with the actual reality of scarcity rather than our projections about it. Many people really are poor and don’t have food. Moreover, outward circumstances maybe antithetical to people‘s needs in dramatic ways such as war, famine, and disease. One who realises ar-Razzaq finds that God’s continuing abundance is always a resource for them, regardless of outward conditions. Ya Razzaq is a remedy for feeling that the basic essentials of life are scarce. Those in in dire straits need to overcome the belief that because they don’t have food, there is no abundance. When they invoke the quality of ya Razzaq it gives rise to their God-given ability to find hidden resources to achieve success. Simple example would be finding the inner confidence in taking the initiative to draw water from the well, dig an irrigation ditch, and cultivate crops. Calling on Ya-Razzaq addresses our earthly condition of scarcity by realising the quality of the One who continually sustains all. Through reflecting the quality of Ar-Razzaq in ourselves we come to find that Allah provides sustenance for our physical needs. The straightforward meaning of ar-Razzaq is the one who continuously gives sustenance, who is always giving at every opportunity to benefit all people. Al-Fattah means both “to begin” and “to open”. Through this Name, you begin to open your heart to the infinite possibilities of the divine presence. With al-Fattah, the opening is continuous. Fattah is the Arabic word for enlightenment. It is an enlightenment that is continuously happening. Al- Fattah brings great power to clear the way and open the path of your life for success. It is the One that opens the heart to love and ecstasy. A variation of the root, al-Fatiha, is the name of the beginning or opening chapter of the Quran. Al-Fattah refers to opening something with the key, and invoking Ya-Fattah is the key to opening the heart to Allah and to finding the divine within. It is a very powerful name, because even in the midst of despair it brings the possibility of opening up to love and ecstasy. Allah is opening up the veils of darkness over the heart to uncover the light within. The invocation of al-Fattah sets up the dynamic process of going deeper and deeper in your opening. The fifth-form variant of the root of Al-Fattah, tafattaah-an-nawr, means to blossom. this is a beautiful image. Al-Fattah also means for buds to open up and blossom. The image of a bud, or flowers bursting forth, is a meaning that comes from the richness of the Earth to enrich our understanding of this sacred Name. When you specifically heal the woundedness within your own soul, a great personal enlightenment takes place. It is possible to speak of personal enlightenment which is to do with the individuated soul and of impersonal or universal enlightenment, which is cosmic in scope and has to do with the absolute. Personal enlightenment hits the specific constellation of the individual. It dissolves that individual constellation and then heals it. You begin to know your real self in this existence. You know it individually and you can navigate life with balance, clarity and grace. All human beings have issues of scarcity. Everyone goes through an experience of scarcity. At that time you may experience the universe as a place where there are no resources available to you, within or without. The different ways human beings come to isolation in their egos are caused by the particular kinds of experiences of scarcity. Painful experiences of scarcity coagulate into a defining attitude of self, an attitude that is based on the sense of deficiency. There may have been scarcity in the environment one grew up in, or in your relationship with your mother, for example. This has led you to experience the universe has a place that lacks what you need. You don’t know how to really be grateful because you are identified with being needy. Disconnection from the ever-abundant source can manifest in the personality in the form of grandiosity or depression. In both instances, the dysfunction and isolation of the ego are a function of the same thing: internalising and identifying with our wounded condition caused by our experience of scarcity. Calling forth the different Names of abundance allows isolation and alienation to dissolve, because the false self fades away in the light of the reality of the sacred quality. The child’s soul, facing the confusing circumstances of incarnation, gets impaired or affected at different stages. The soul is bringing inherent qualities of abundance and blessing into existence, this process often comes into conflict with the child’s parents and home environment. When the soul faces daily conflict, that essential emerging quality that is expressing itself by bringing abundance to life subsides, and this retraction generates a vacuum. The vacuum, or hole, that occurs when the soul is thwarted in someway, attracts and invites ideas and emotions of scarcity, lack of support, lack of recognition, or lack of abundance to arise. The mind tries to fill up the gaping hole and, in the process, projects meanings - conceptualisations to which it becomes emotionally attached. In general, human conflicts having to do with giving are connected with a persons inner relationship with the field of abundance. The answer to all such predicaments will come when one realises that the divine source is generating and manifesting abundance continually and in a variety of forms. Such a realisation allows one to consciously accept and connect with the source. We don’t know how to really be grateful because we're identified with being needy. The Invocation of the Divine Names are a treasure to cherish.